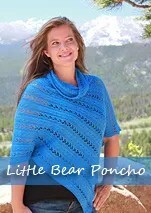 Rocky Mountain Collection by Marly Bird is a variety of knitting patterns designed specifically with the beautiful yak yarn by Bijou Basin Ranch. These patterns can be purchased directly from Bijou Basin Ranch. Some of the yarn colors have been discontinued but the Bijou Basin Ranch yarn is still as luxurious as always.